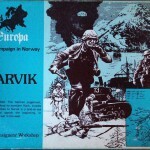 Europa Game IV, The German Invasion of Norway, April to June 1940. 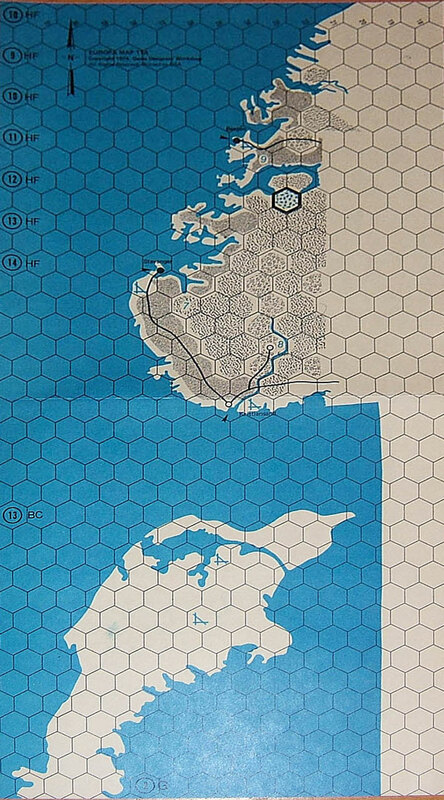 Designed by Frank Chadwick and Paul R. Banner. 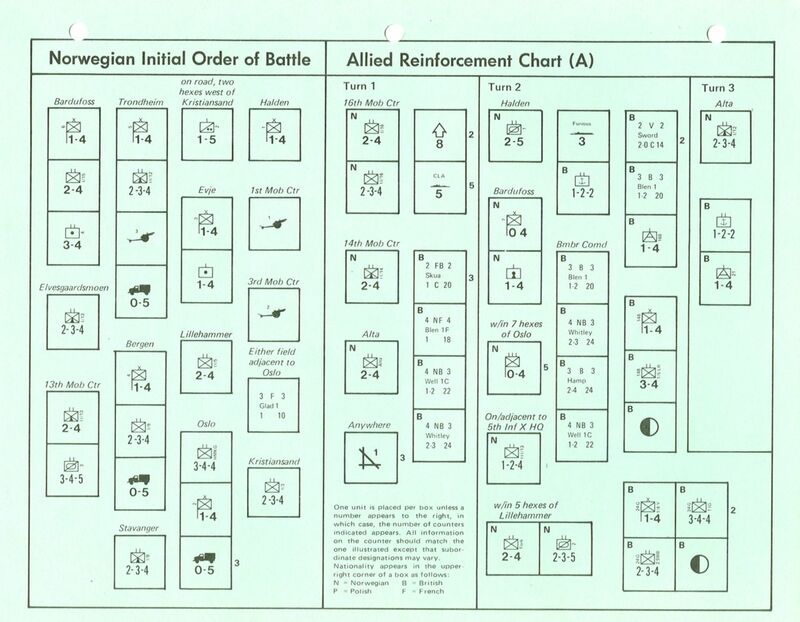 The errata sheet for the game were dated September 1974, 1 November 1974, and 14 January 1978. 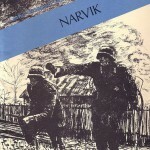 Narvik posed a problem for the Europa Series: the division-level approach of DNO made the operations in Norway trivial. 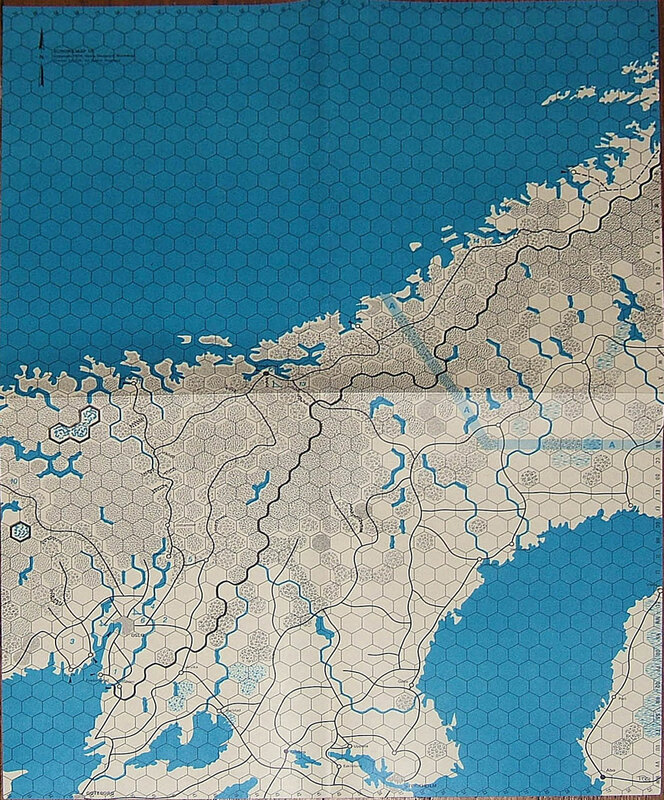 Frank Chadwick determined that a detailed battalion-level approach would work on the Europa scale map of Norway. 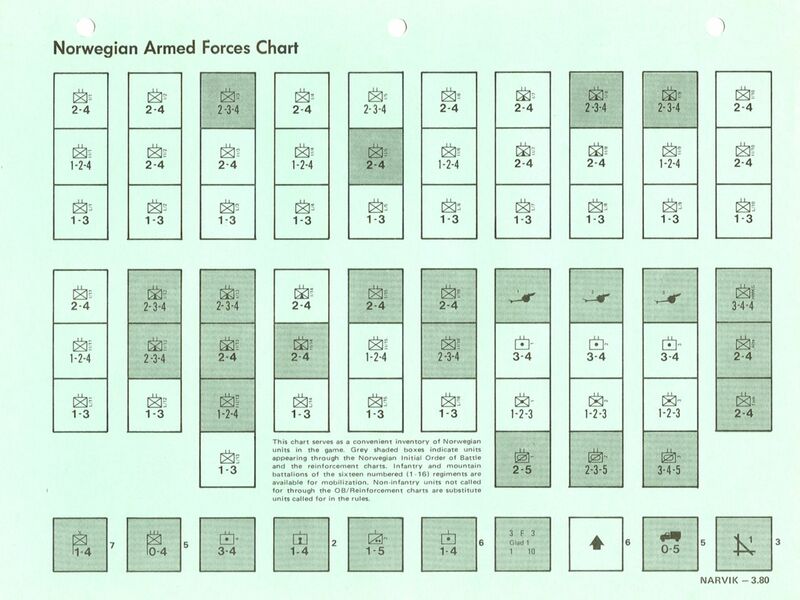 The result was an especially interesting study of invasion strategy in WW II. 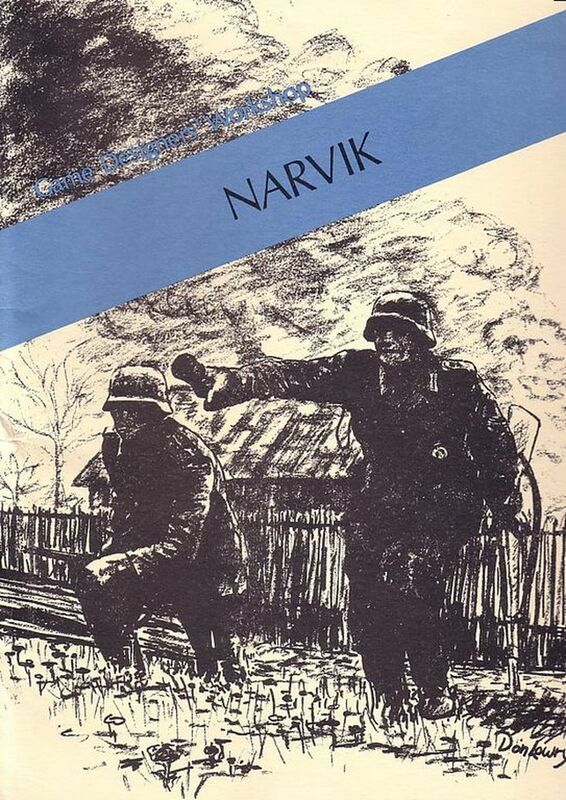 Narvik proved to be one of the favorite Europa games among GDW players. 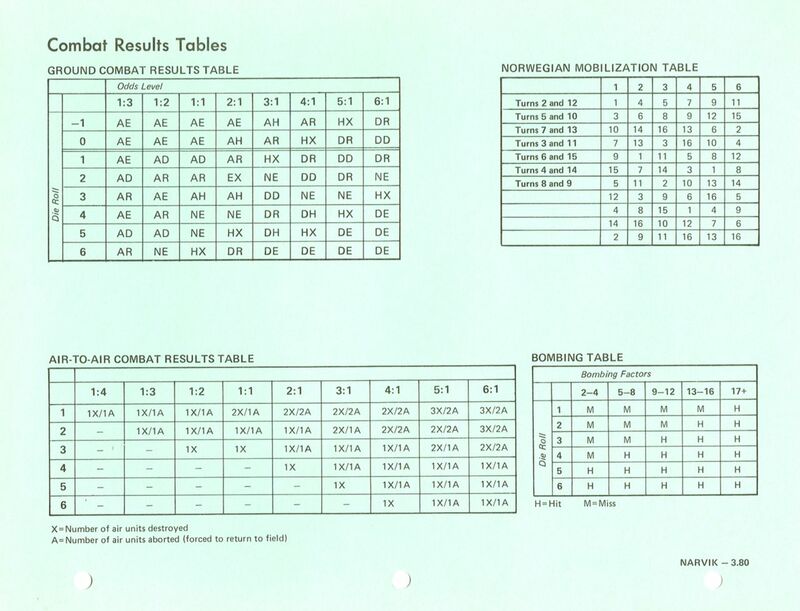 Revision, reformat, and repackaging. 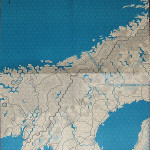 Blue collage art box; the game was repackaged in a blue Europa Map box in October 1984. 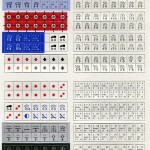 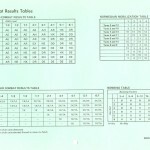 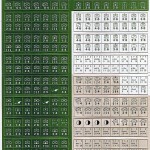 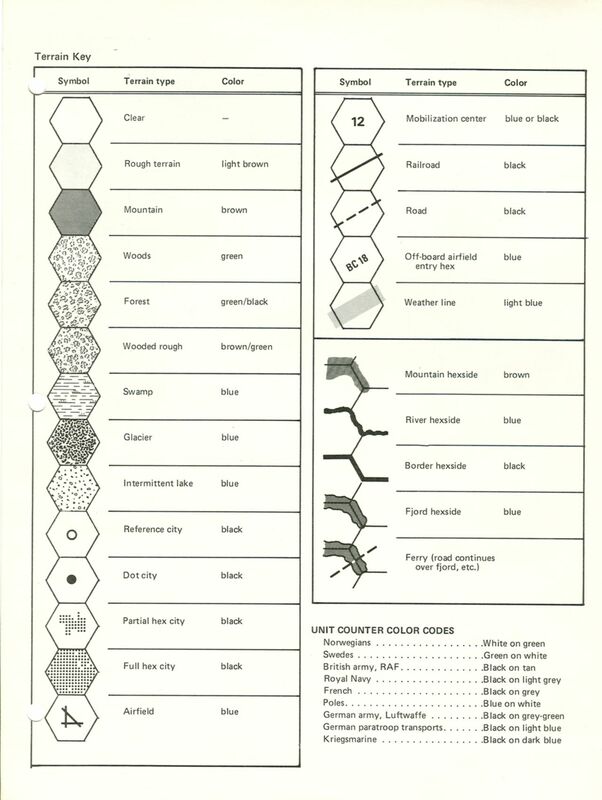 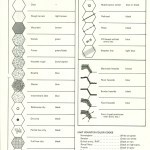 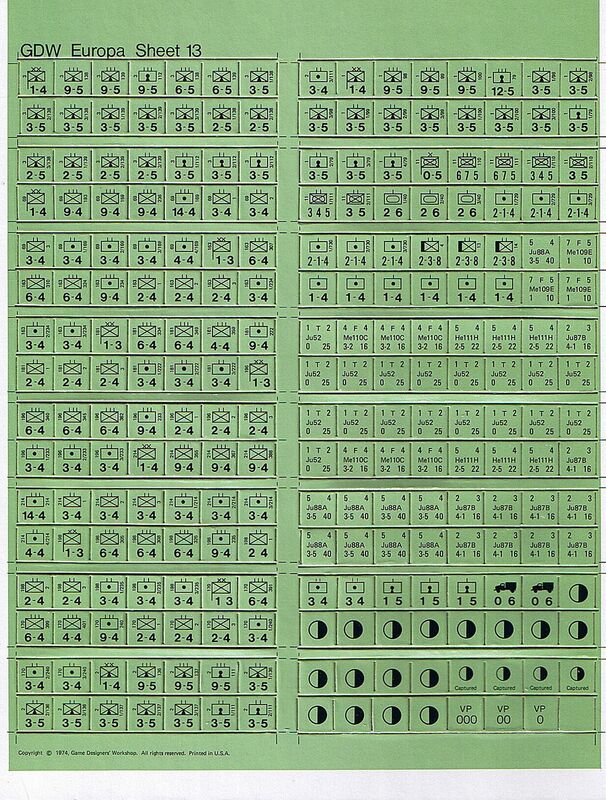 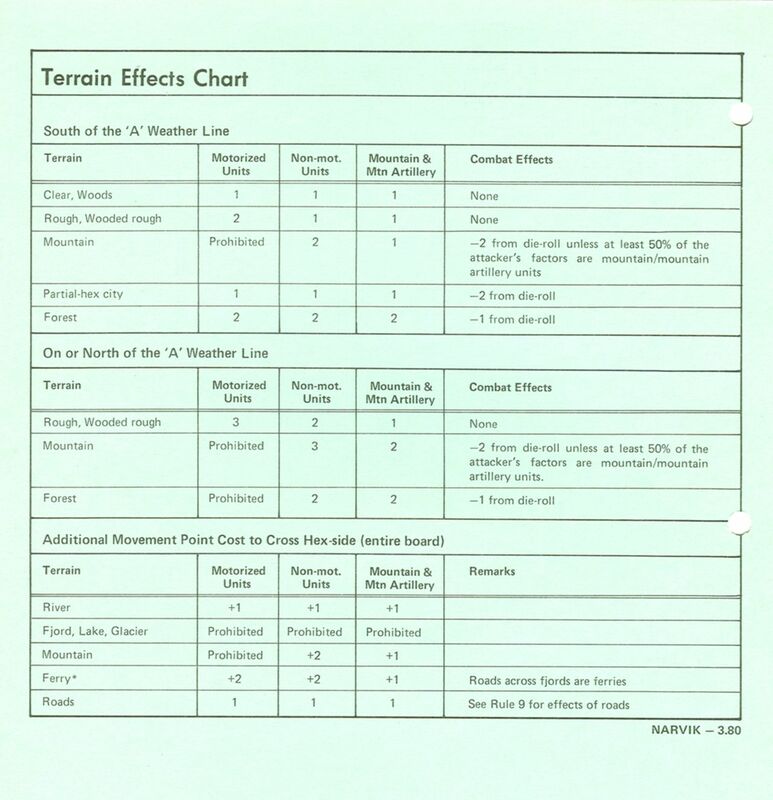 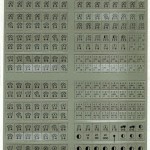 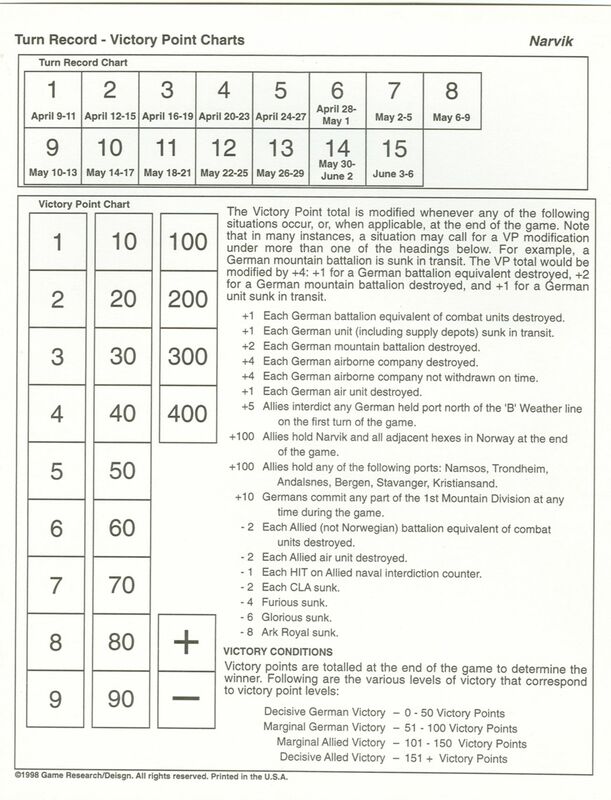 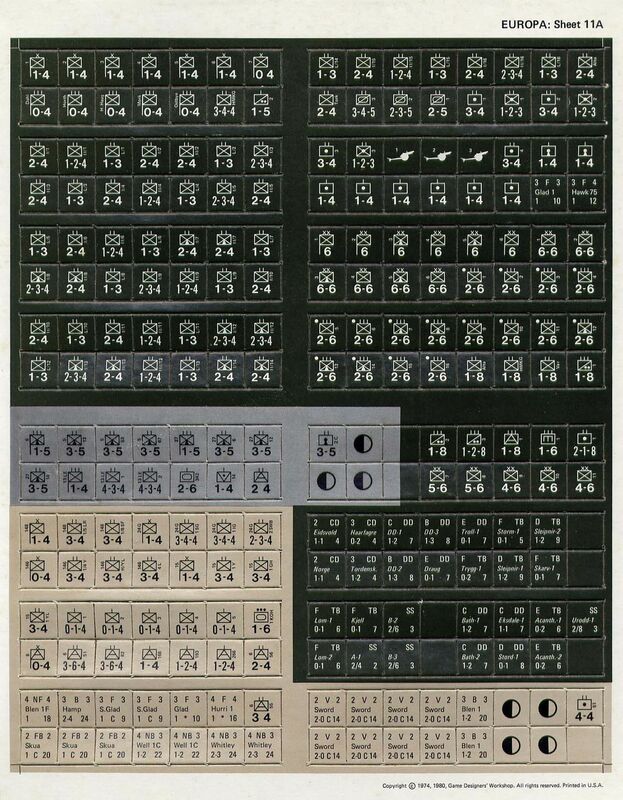 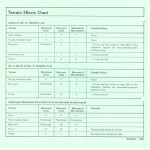 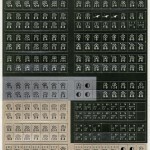 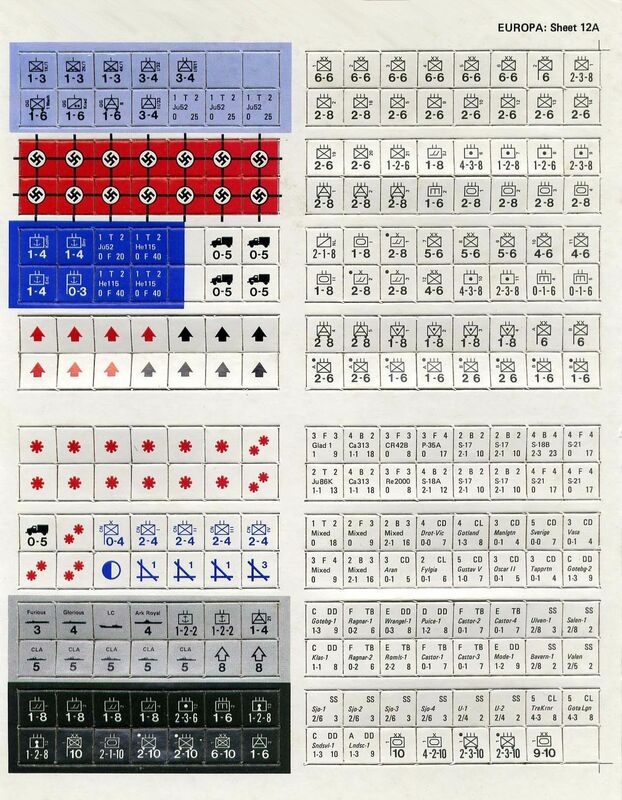 Errata sheets for the game were dated 21 April 1982 (which applied only to the first printing) and 21 April 1982. 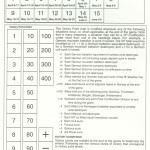 The 21 April 1982 errata is definitive. 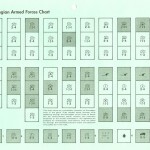 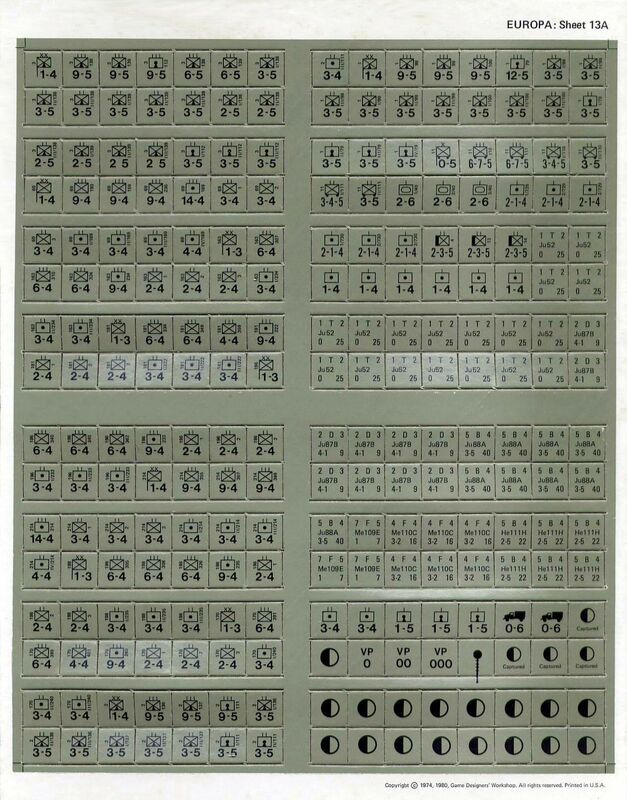 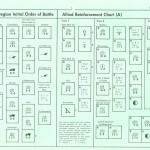 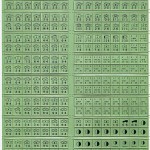 The second and subsequent printings of the 2/80 edition incorporated the map errata of the April 1982 errata, and thus the rules booklet dated 2/80 and charts dated 3/80. 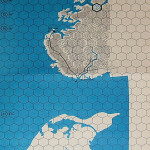 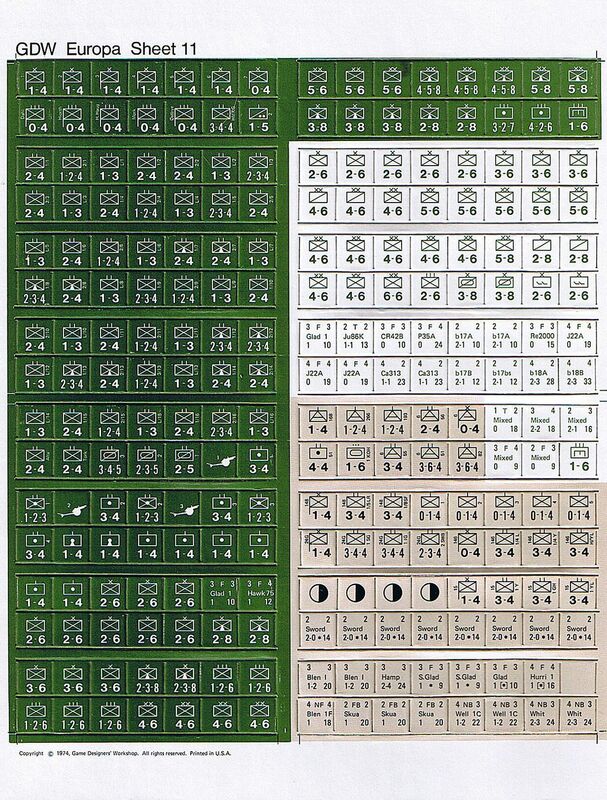 The 2/80 edition did not differ substantially from the 9/74 edition, but it did upgrade the maps to a multi-color format and incorporate the previously noted errata into the rules. 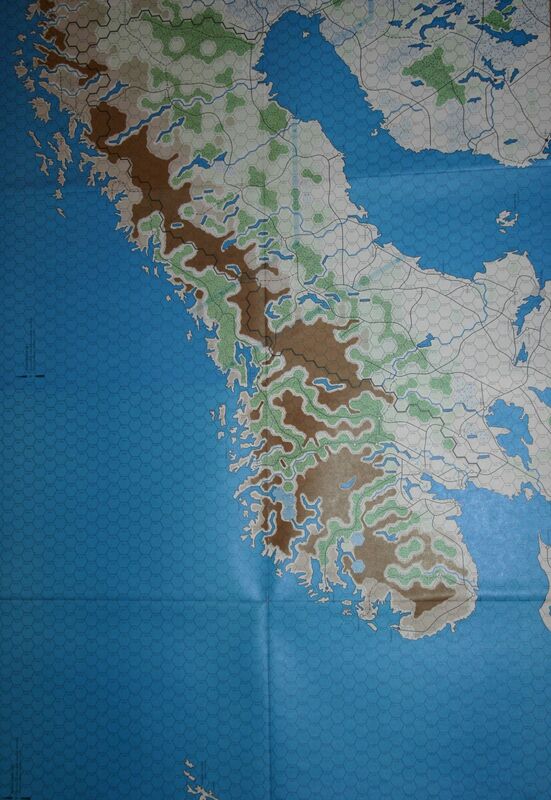 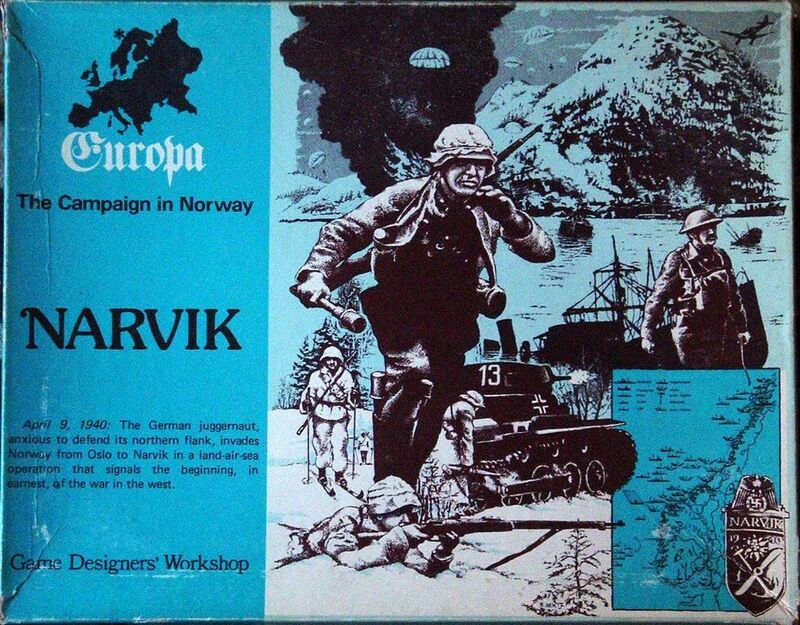 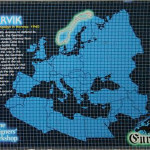 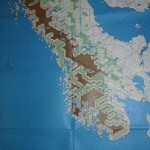 Europa Play Aids Kit 3 was designed to expand Narvik.